Whether you enjoyed Justice League or not, you have to admit that those end credit scenes were stellar. I never thought I’d see the day when Superman would face off against the Flash in a sequence taken straight out of the comics. The second post credit scene however was much different and could help turn the tide of the DC cinematic universe. This one’s an obvious answer. 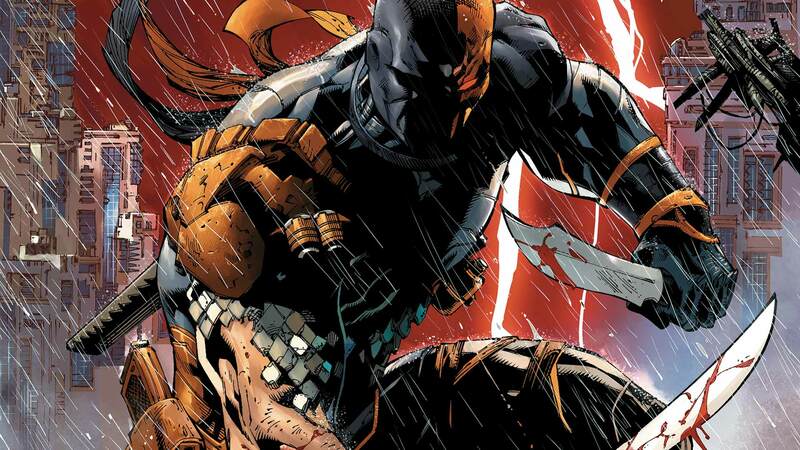 Deathstroke has yet to make his cinematic debut until now. It’s been widely speculated that Joe Manganiello would be portraying a scruffy-looking Slade Wilson. After all, he was supposed to appear as the big bag in Ben Affleck’s solo Batman movie. This villain would certainly pose a threat to the #JusticeLeague as his hand-to-hand martial artist combat complete with superhuman strength, speed, and agility are all features that make him quite the adversary. Oh, and he’s an extremely talented marksman and swordsman. Gorilla Grodd was one of the founding members of the Legion of Doom and earns a spot on this list. Why? Well, if you paid close attention to the scene when Bruce meets Barry Allen, you may have caught a cool Easter Egg that referred to this particular supervillain. As Bruce is complimenting the Flash suit, Barry carefully spiels out all of the traits he’s good at. These include playing the Viola, doing some web design, and he also mentions that he’s fluent in sign language but not just any sign language; gorilla sign language. This is easily a nod to a popular DC villain named Gorilla Grodd. Though Barry Allen may not have visited Gorilla City just yet, its nice to see that he at least has some background information on these smart gorillas. Grodd does pose a big threat to anyone as he’s known for his level of intellect, superhuman strength, telepathy, telekinesis, and mind control. If Gorilla Grodd wasn’t enough of a #Flash enemy, then perhaps Captain Cold is. Leonard Snart has been going after the Flash in the comics for quite some time so it seems only fitting to give fans a slight hint of his existence in the DC cinematic universe. In the same scene when Bruce is talking to Barry, one of his monitors appears to be examining a unique quality in Barry’s suit. That specific quality revolves around temperature and its reason to believe that he has been studying up on his suits resistance to subzero temperatures. This would give the Flash a huge advantage over Captain Cold’s own duel cold guns which allows him to freeze any objects to absolute zero temperatures. Like Gorilla Grodd before him, the inclusion of Captain Cold in this universe would please fans and give the Legion of Doom a worthy team member. Earlier this year, Suicide Squad director David Ayer posted a comic book picture of Black Mask on his Twitter page hinting that this may be the main villain featured in the upcoming Gotham City Sirens movie. There was also another cool Easter Egg moment for fans towards the beginning of the film when Batman was facing off against one of Darkseid’s Parademons on a rooftop. Out in the distance showed a sign named Janus which further hints at the existence of Roman Sionis aka Black Mask. Black Mask is most well known for being Gotham’s crime lord and Janus is short for Janus Cosmetics and was the name of the corporation the Sionis family runs. Black Mask is a criminal mastermind but also has the capability of mind controlling someone with his own mask, thus proving this villain to be extremely dangerous. Though he may be under the governments control at the conclusion of Suicide Squad, Lex Luthor would be wise to bring this guy on his team. While he may have a few similar qualities that mirrors the likes of Deathstroke, Deadshot simply does not miss his shots with his slew of weapons and would be a great asset to this team. Deadshot also has a big grudge against the man who put him jail in the first place; the #Batman. It may appear that Deadshot is slowly getting his life back together with his daughter, but things change and not always for the better. But lets be honest with ourselves; who wouldn’t want to see Will Smith’s interpretation of Deadshot take on the Justice League? Here’s another original member from the Legion of Doom; the Riddler. 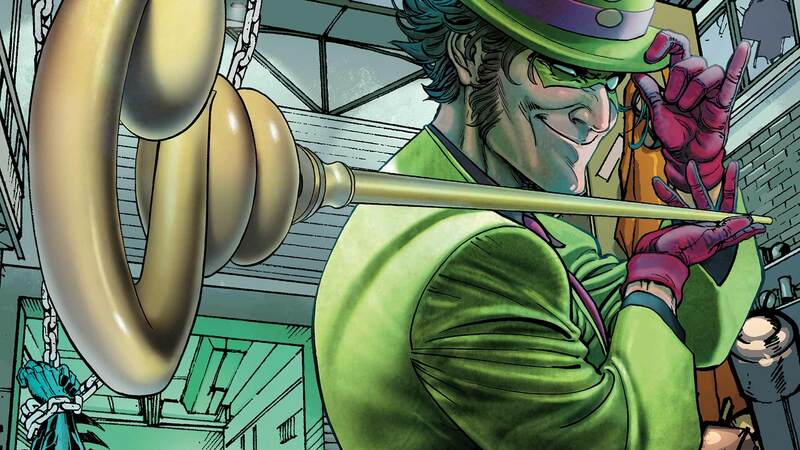 The Riddler as we all know utilizes complex puzzles and different riddles to try and trick his enemies. This villain would be a fantastic member of this team and his level of intellect is off the charts. Thanks to Zack Snyder, the Riddler’s existence in this cinematic universe was hinted at in the scene when Batman strikes the Kryptonite weapon into the ground while preparing his epic showdown against #Superman in Batman v Superman: Dawn of Justice. This scene was a great nod to fans preparing us that we may one day see the Riddler on the big screen once again. Like most of the villains on this list, Black Manta was another original founding member of the Legion of Doom. While he’s yet to make his cinematic debut, he’s set to star as one of the main villains in the solo Aquaman movie due out next year and will be played by Yahya Abdul-Mateen II. David Hyde has been a big rival against Aquaman since his very first appearance in the comics. Black Manta uses a high tech battle suit to defend himself and combat against the Atlanteans. He’s known for using a harpoon gun as well as emitting optic blasts from his own helmet. If Aquaman has a tough time against him, a team-up of him and the rest of the villains should be an interesting match-up against the rest of the Justice League. So those are my choices for Lex Luthor’s Legion of Doom. Who do you think should appear on the team? Sound off in the comment section below!